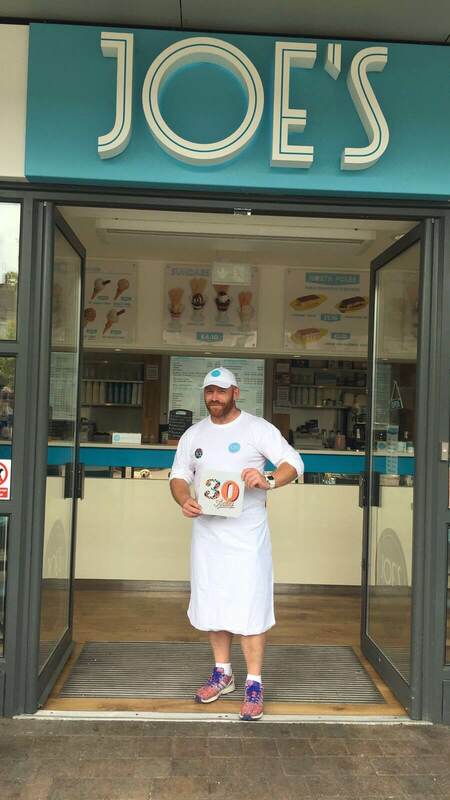 Meet the Staff – Stephen Peters, celebrated this year, his 30 year anniversary working at Joe’s Ice Cream! Q1. What brought you to Joe’s in the first place? Q2. What have you enjoyed most about working for Joe’s Ice Cream? Probably working with so many different people and making new friends. Q3. What are the downsides of working at Joe’s? Not too many downsides, perhaps working long hours during the summer months, but that’s part of it. But missing out on Family and friends parties and get togethers. Q4. How have you seen the company change? I think the biggest change would be the introduction of Flavours, never thought we’d sell Bubblegum ice cream. The expansion of the business from 2 parlours to 5. Also the rise of our wholesale business. Q5. What’s your funniest/favourite memory from working at Joe’s? Funniest moment was a customer tapping me on the shoulder in Sydney, Australia asking me for Large chocolate Sundae, can’t escape from it even on the otherside of the planet. Favourite memory would be my working relationship with Enrico. He was such a great teacher, from his teachings of ice cream making, and to life in general, it was a great honour to have known him. Q6. What would you say to aspiring staff about progressing through the business? Don’t be scared to ask for questions from your peers, there advise can sometimes worth it’s weight in gold. Remember always lead by example. Q7. Lastly, what’s your favourite way to eat Joe’s? My favourite way to eat Joe’s!!!!!!!! I will do t-spoon taster everyday for quality purposes.